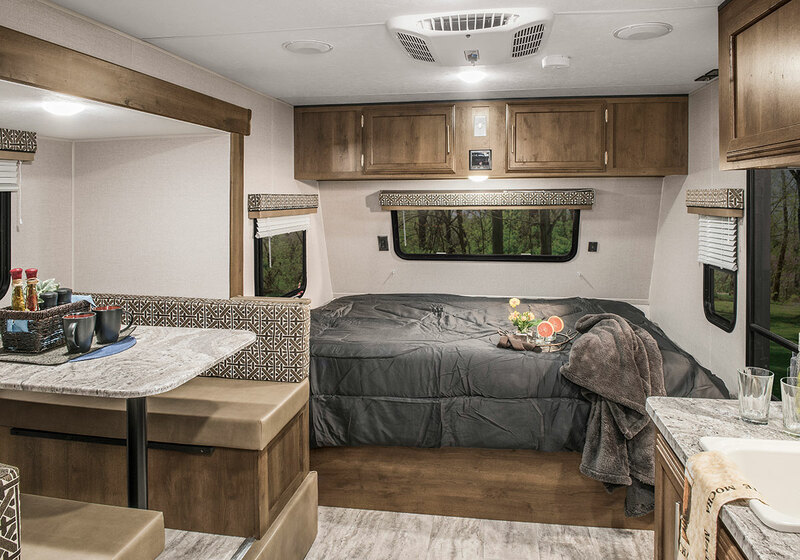 The spacious interior of the E191BH offers comfortable living space and sleeping quarters along with generous storage space to accommodate the whole family. 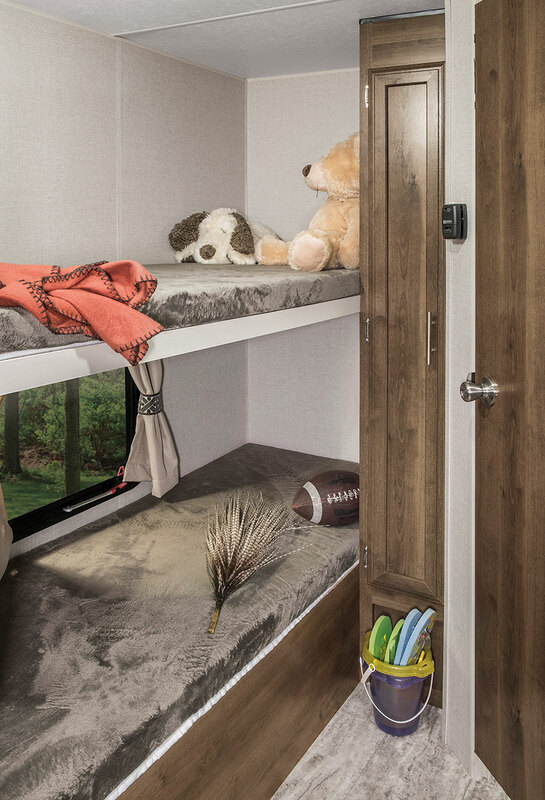 The kids will love the bunk beds with plush pile mattresses and underneath storage for toys. 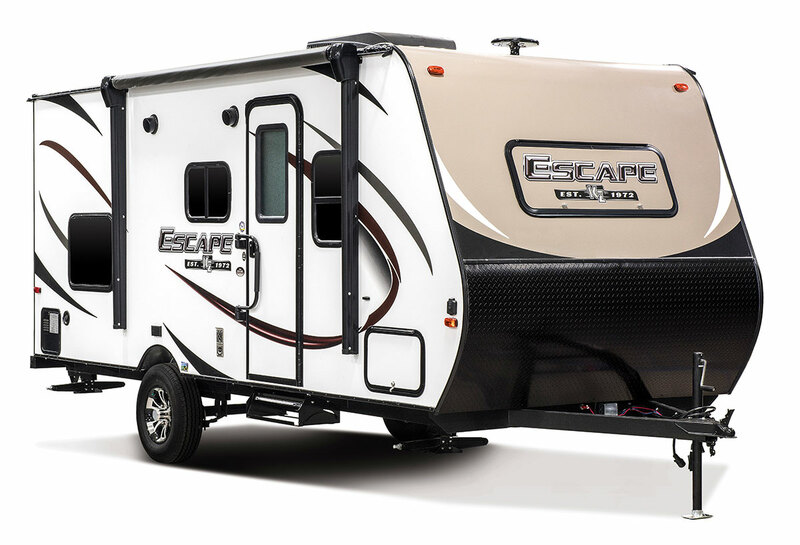 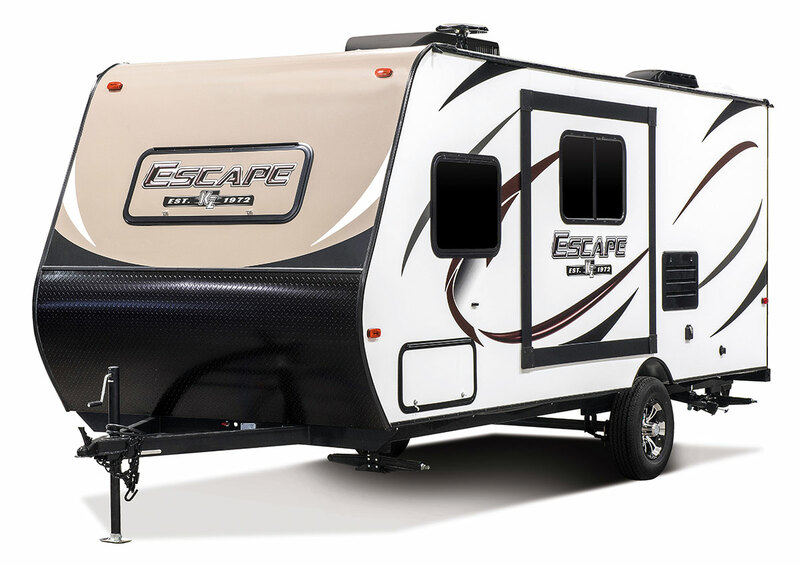 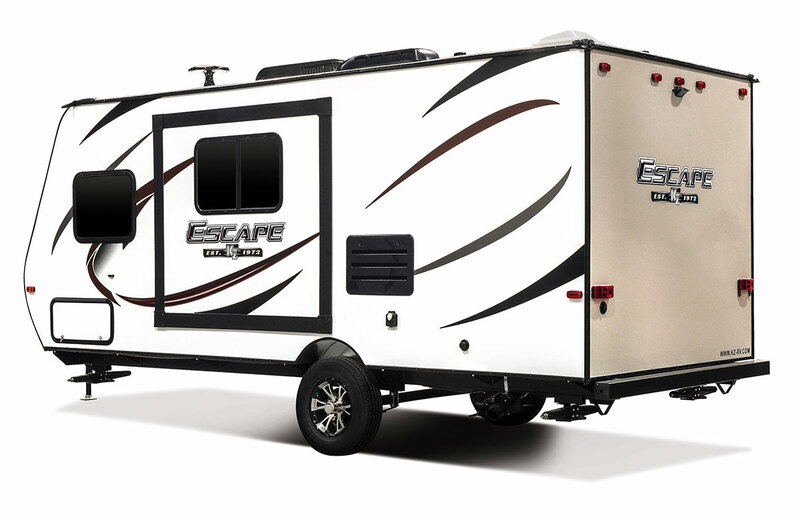 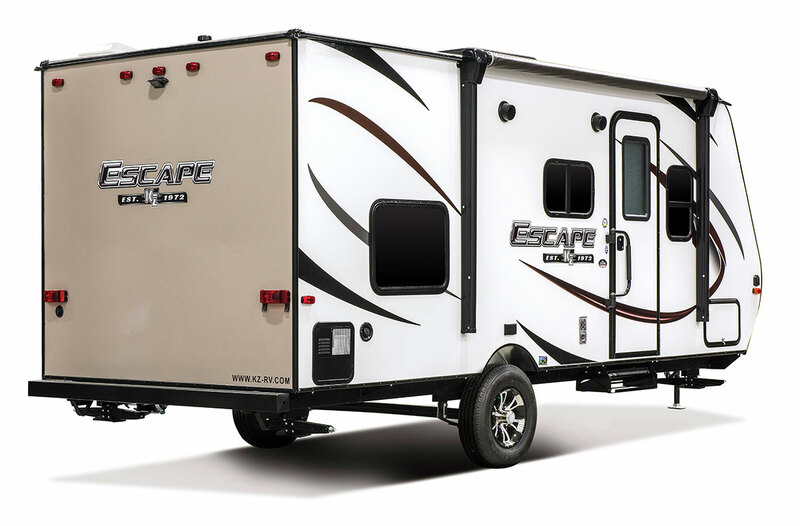 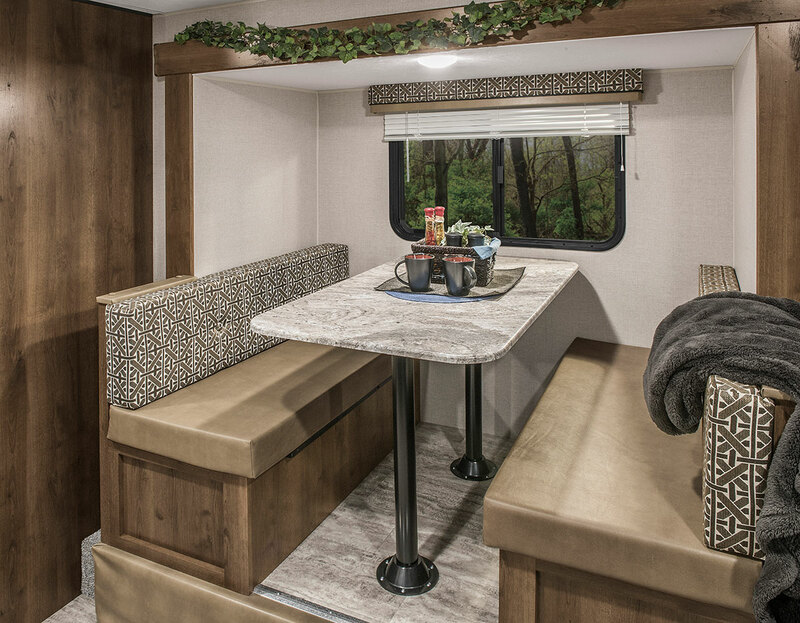 Mom will love the efficient kitchen complete with cooktop stove, refrigerator, microwave, and plenty of storage. 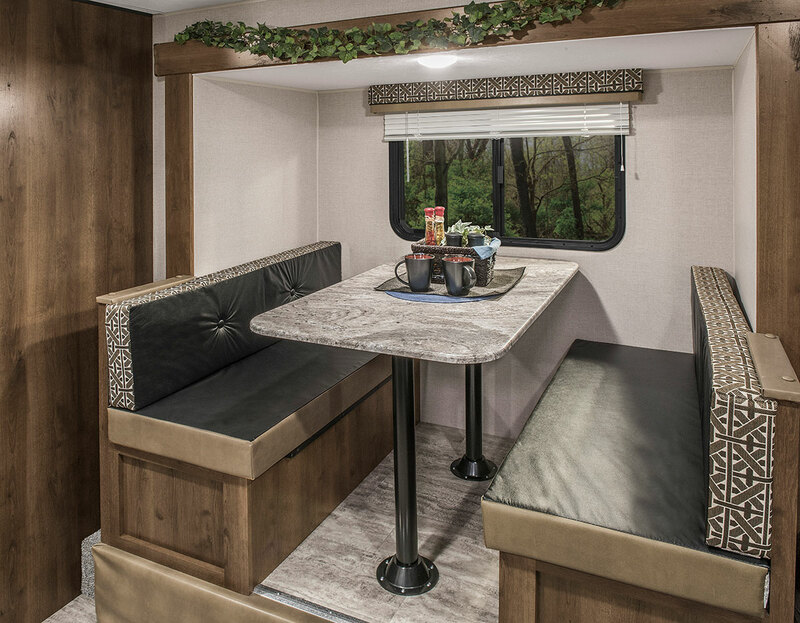 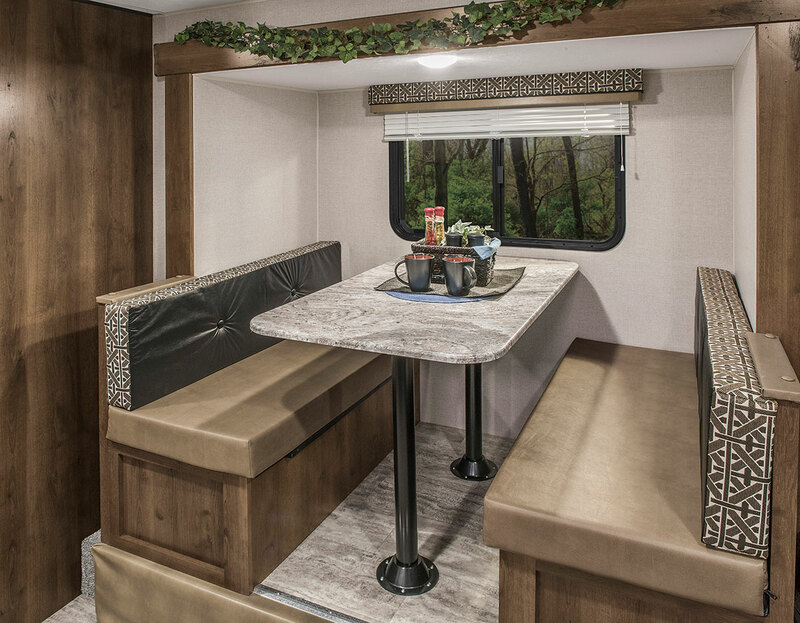 Enjoy your meals or play a game at the versatile dinette that offers thick reversible cushions and additional underseat storage. 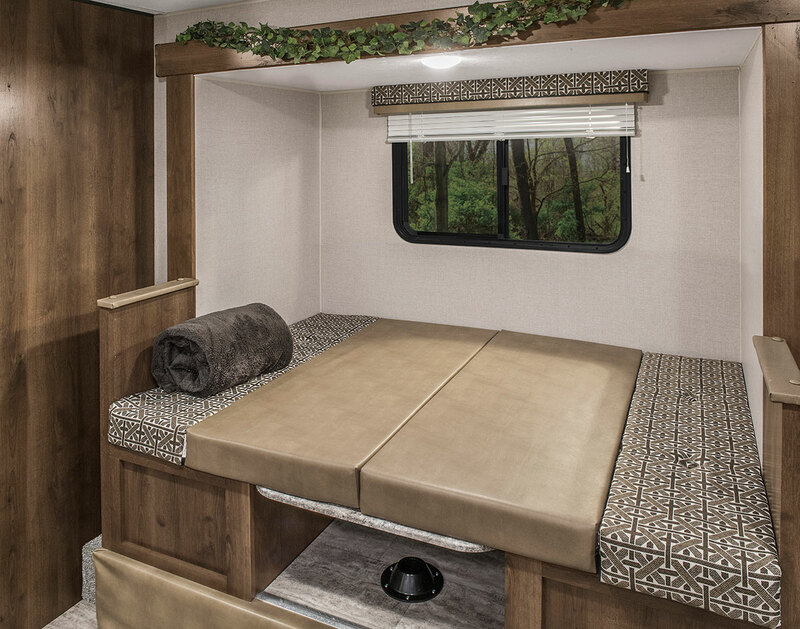 When nighttime falls, it handily converts into a snug, sizeable bed. 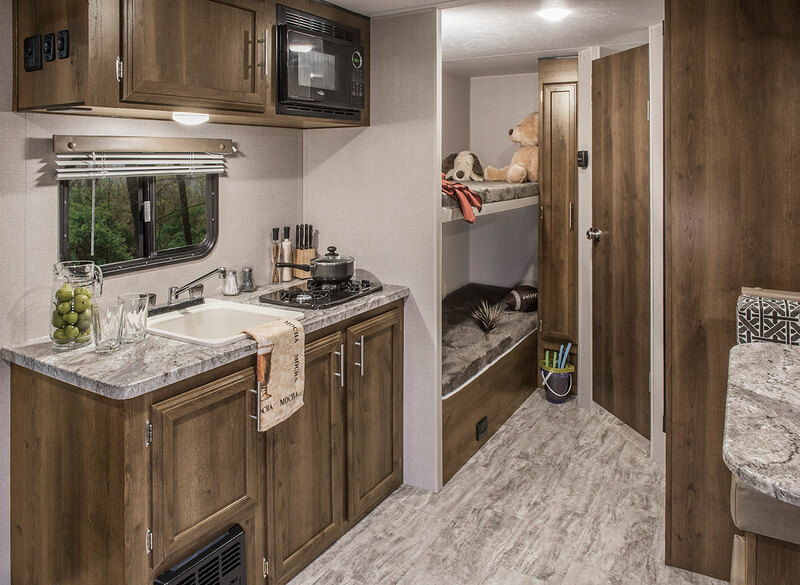 When on the road, the bathroom is too important to compromise. 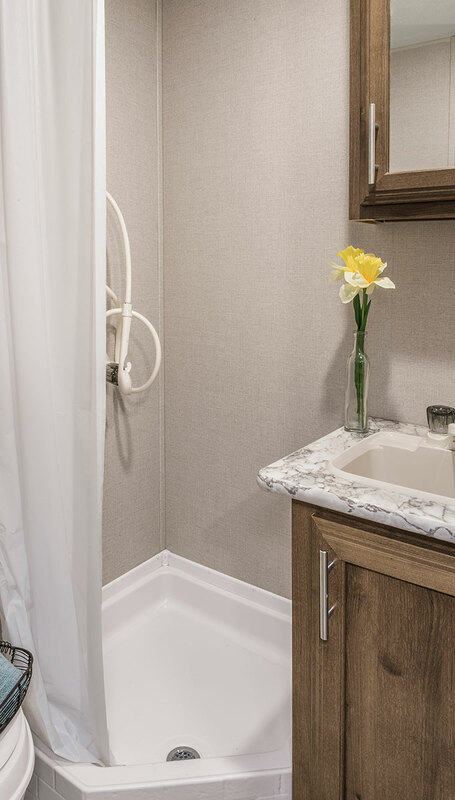 That's why we designed plenty of elbow room into our ample bathrooms with large showers, lavatories, and foot flush toilet.